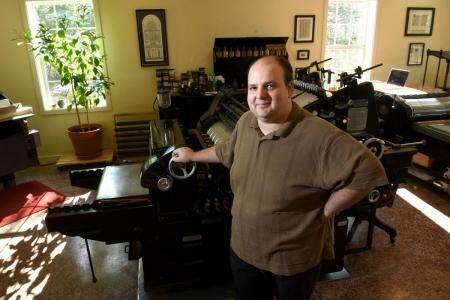 The Press of Robert LoMascolo is a small studio devoted to fine letterpress printing, hand bookbinding, classical design, and teaching the Book Arts. Visitors are welcome to see the studio by appointment. See www.rlfinepress.com for more information and pricing.